BEST WESTERN PLUS Knights Hill Hotel & Spa at BW PLUS Knights Hill Hotel & Spa01553 675566work Group AccommodationThe 4* BEST WESTERN PLUS Knights Hill Hotel & Spa is situated on the north east corner of King's Lynn (4 miles from King's Lynn, on the A148/149 roundabout), in 11 acres of meadowland and gardens. It is conveniently located for Castle Rising, Royal Sandringham and Norfolk Lavender. Thursford is 40 minutes away. The hotel has a restaurant, traditional country pub and the Leisure Club with Imagine Spa. GROUP TRAVEL FACILITIES: Group sizes - min 10, max 100, 5 singles, 73 twins/doubles, 1 family room, themed breaks, coach parking on site, travel agents bookings accepted, evening meals for groups, special diets available, languages spoken, disabled facilities, open all year, driver/organiser incentives. 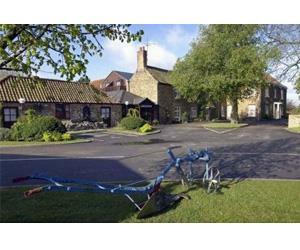 The 4* BEST WESTERN PLUS Knights Hill Hotel & Spa is situated on the north east corner of King's Lynn (4 miles from King's Lynn, on the A148/149 roundabout), in 11 acres of meadowland and gardens. It is conveniently located for Castle Rising, Royal Sandringham and Norfolk Lavender. Thursford is 40 minutes away. The hotel has a restaurant, traditional country pub and the Leisure Club with Imagine Spa. Single supplement: No supplement on the first six rooms booked, £10 thereafter.